The prevalence of nonalcoholic fatty liver disease has been rapidly increasing worldwide. It has become a leading cause of liver transplantation. Accumulating evidence suggests a significant role for gut microbiota in its development and progression. Here we review the effect of gut microbiota on developing hepatic fatty infiltration and its progression. 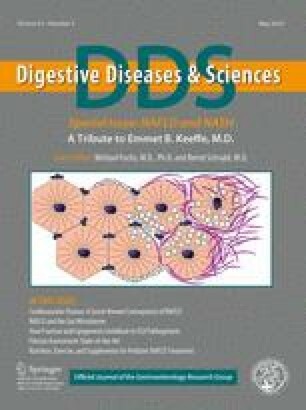 Current literature supports a possible role for gut microbiota in the development of liver steatosis, inflammation and fibrosis. We also review the literature on possible interventions for NAFLD that target the gut microbiota. Work done in the authors’ laboratory is mainly supported by Grants from the National Institute of Diabetes and Digestive and Kidney Diseases, National Institutes of Health (U01 DK061728 to S.S.B. ), the Peter and Tommy Fund, Inc., Buffalo, NY (to S.S.B. and L.Z.) and a departmental start-up fund (to L.Z.). None of the authors had any relevant personal or financial conflicts of interest.